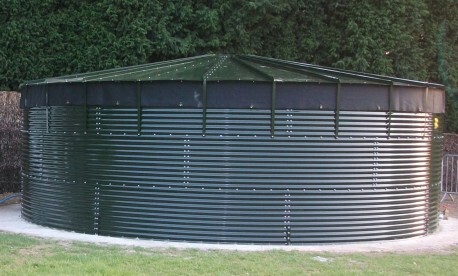 As an established water storage tank manufacturer, and preferred supplier across a wide range of industry sectors for over 4 decades, our tanks are used worldwide for a variety of applications such as emergency aid, fire water storage, rainwater harvesting, temporary & remote camps and irrigation supply for agriculture, sports pitch maintenance and golf courses. 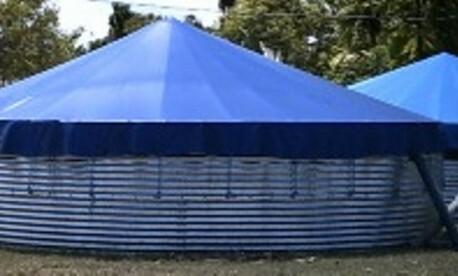 We also provide a range water storage solutions for Festivals and sporting events. Our original tank design was adopted by Oxfam in the early 1970’s and is now universally known as the ‘Oxfam Tank’ throughout the Humanitarian Aid sector. Our tanks versatility coupled with our impressive range of size / capacity options ensures we have exactly the right water storage tank for your requirement, even if your site is in the harshest of environments. Our galvanised steel water storage tanks are available with capacities ranging from 1,960 litres to 1,212,000 litres. All tank kits are supplied complete with steels, waterproof lining, assembly instructions, tools, accessories, repair kits and roof (if required). The tanks are ideal where large capacity and depth is required. They can be built on any firm, flat ground free from debris or a suitable concrete or ring beam base. 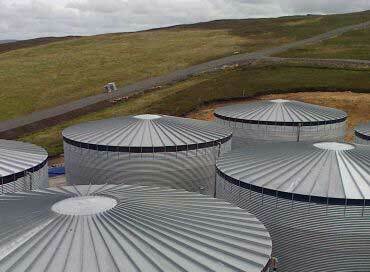 Designed for use in all climates, our tanks can be erected by three people in around 8 hours. The linings are manufactured in the form of a cylindrical watertight bag sized to suit the tank, and are offered in a range of materials including Butyl and EPDM rubber. Through tank outlets are provided in 3″ diameter as standard and can also be offered in other sizes dependent on customer requirement. Roof options are available: G600 Galvanised steel with lockable manway for added security, or PVC, which is more suitable for short term use applications. A full range of associated spares and accessories are usually available from stock.